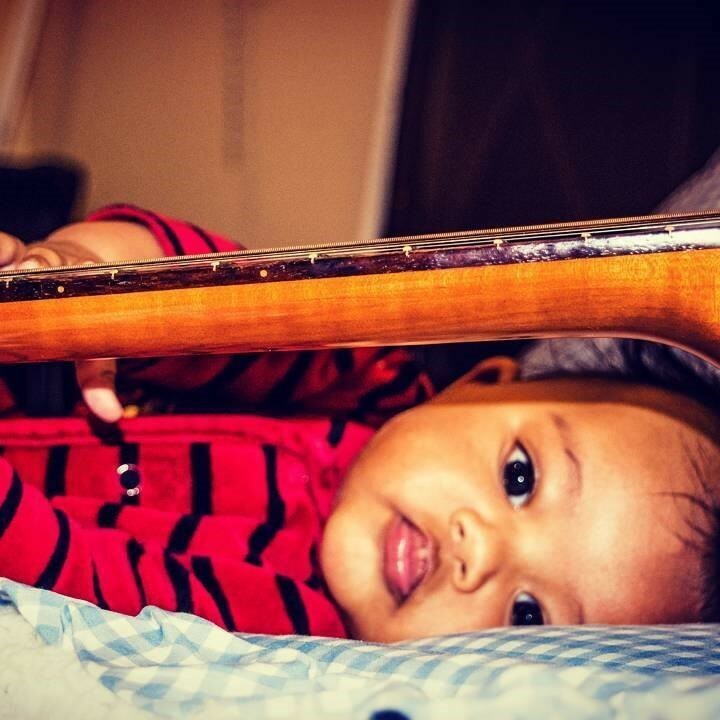 Mishael discovering the guitar in his first months. A pair of deep brown eyes stare into mine already so full of love and trust, and although I’m not sure I deserve such love and trust, they continue to gaze into mine and I am speechless. Let’s rewind one year. Here I am. First time mom with a new born baby boy in my arms. I couldn’t be happier and also more humbled. Being in the child care field for so many years and working mostly with infants I assumed having my own would be a piece of cake. Wrong. Sure I already knew how to change a diaper and understand baby babble but what do I do with a newborn that, well, really just lays there and looks at me? I rested my son, Mishael, on the living room floor and crossed my legs next to him with an acoustic guitar. Delicately, I strummed chords and sang softly. He seemed pleasantly content and at peace. The next day I let him rest in the living room again as I played and sung to him. The next day as well as the next, I did the same. Finally, a smile. Before I would even begin to play, Mishael would grin at the sight of me grasping the guitar from its stand. And then a coo and a hum. He was not only excited when he caught glimpse of the guitar but he had acquired a unique singing voice. Next a wave of the arm and a shake of the leg. As Mishael’s excitement grew every time I brought out the guitar, his body began to move and wiggle as well. Music is a language he identifies with. It provides him a way of expressing himself as his vocabulary grows. It wasn’t long after incorporating music continually throughout the day that his expressions grew into many. His babbling grew into words. His waves became clapping. And his legs began bouncing to the rhythm of a song. Mishael has developed emotionally, cognitively and physically due to music. I truly believe that every child can make meaning of the world in their own way through music some way or another. And it doesn’t have to be with an acoustic guitar either. Here is a short list of some places nearby that my son and I love to go every week. 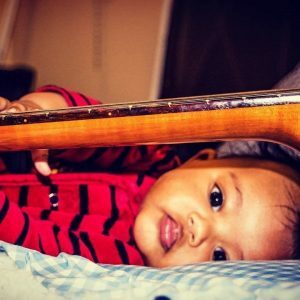 They will provide your child with a wonderful start in music and you might just learn a thing or two as well!